In the closely watched case of the anonymous blogger John Doe who runs the blog "Amthrax," the Sixth Circuit Court of Appeals has issued a decision in this case of first impression which Doe and other anonymous bloggers may want to blog about. The Signature Management v. Doe decision sets out the considerations for a federal court to consider when it comes to unmasking an anonymous blogger whose blogging has been found to violate the law and therefore would not be entitled to First Amendment protection. Though the appellate court did not order the "Amthrax" author revealed, it did remand with instructions for the lower court to reconsider their decision not to unmask. The facts of this case are rather fascinating. The blogger focused much of his attention on criticism of multi-level marketing schemes. The company Signature Management was one of his frequent recipients of criticism. In one post, he took a copyrighted publication of Signature's, and allowed his readers to download for free via a link on his blog. The company then served a takedown notice on the blog's web-host, which prompted Doe to remove the link. After Doe complied and the link to the copyrighted material was removed, a lawsuit was filed seeking only injunctive relief. Part of that relief included unmasking Doe. While the court granted part of the requested relief, it refused to unmask Doe, explaining that it was unnecessary, particularly given the harm to Doe would be immense compared to the benefit received by Signature. The appellate court disagreed with the district court's framework for this analysis. It explained that there is a presumption that favors unmasking a Doe defendant, particularly after a judgment against them has been issued. This is due to the fact that there is compelling interest in "open judicial records." For judicial records to not be open to the public, there needs to be a strong, compelling interest against it, such as when courts approve documents being filed under seal. 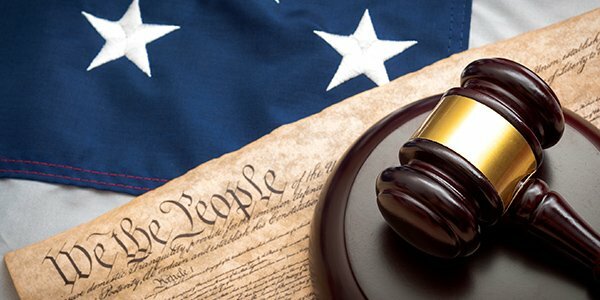 The critical issues identified by the circuit panel in this case that it instructed the lower court to consider involves the balance between Doe's use of protected and unprotected speech. It noted that the unprotected speech (that which constituted a copyright violation) was couched in protected speech activity, thereby making this analysis rather complicated. While there is a public interest in open judicial records, there is also a public interest in being able to engage in anonymous free speech without the fear of unmasking.